No. Money doesn't matter at all. It's important that the partner has enough money for him/herself. Both should spent equal amount of money on each other. The man has to have more money. The woman has to have more money. It is as equally important as my girlfriend. Yes, equal. You need money to satisfy needs in a relationship. Without money, you cannot adequately satisfy that need. You need your partner to add to the driving force of wanting to make more money and be that breadwinner and show stability for the family. Money is needed for survival and for doing good, but must not be put before the even more important things in life like those we love and the care and concern for others. Does it matter whether your potential SO is more or less attractive than you? Can a one night stand ever become a relationship? Does music taste factor in when dating someone? Will you date someone who has no manners/impolite/no class? Why/why not? Would you date a person with a family history of cancer? Important because without it i can't live lol, but its not important to be wealthy or anything to me, just comfortable is okay. Main thing is that she doesn't have financial problems. I can handle the rest. Realistically, B. I don't care about my partner's money really, as long as he makes enough to live comfortably. I don't want him to stress out over not being able to pay the bills for example, because that's the kind of stress that could really hurt a relationship. Money is one of the top reasons relationships fail. Financial problems cause a lot of stress and arguments. SO It's important to be able to take care of yourself and your family. Other than that is it's not a need so its not important. It doesn't matter who makes the most money as long as y'all are making it by together and doing your share of responsibilities. I think it's very important that it be discussed on a per couple basis. For instance my wife and I agreed that she would work part time and I would retain my full time as we split the bills and mortgage. I usually pay more but we agreed to this and I knew that I could easily pay more. We both cover out own vehicle payments and insurance. If my wife ever wants to have kids we could survive on my income alone but it would be tight. Responsibility is more important than money in my honest opinion. if feel like it's very important. I want to date a decent man, but i'm still working on my diploma, so technically a student. So i can't reall get nice clothes, go to nice restaurants look polished etc... Especially here in London i don't really feel like i can properly date guys of my age even if i'm cute i don't have the look. It depends on who I'm dating. If I want a man with more money then I will seek him out. If I date a man with less money then obviously I'm not expecting him to foot the bill in our relationship. It's important to have more than enough money for the couple overall to survive real life. Money obviously matters if you dont want to be living in a cardboard box together. Enough to live and put some aside. Both should be working and contributing. It's an applied effort to needs ratio. Anything that causes you stress needs to not be that inportant. Love and money have nothing to do with each other. Anyone who says otherwise is a filthy gold digger or a gold digger apologist. Money doesn't matter in a relationship. But to live, we need money and we all must have money to "survive" in this society. 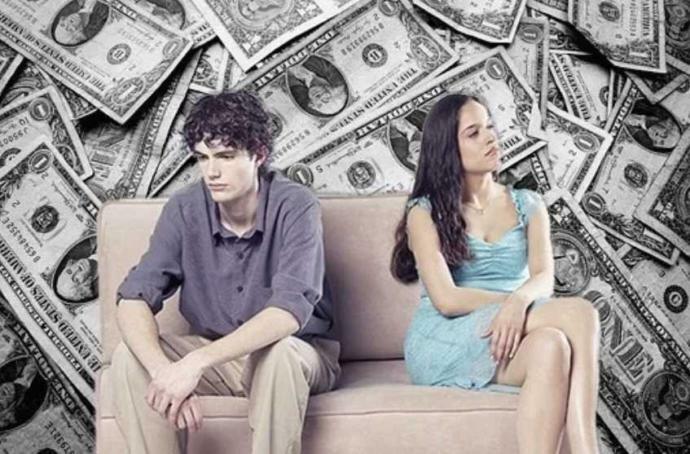 Most relationship problems can be traced back to financial problems. So I think money is very important. When the love is real, and I mean really real, all materialistic need will fade away like debris to the void. Honestly making monkey is important until you can afford a monkey. Then you're fine. I'd want my partner to have at least enough money to sustain himself. Not because it'd be a bother to me, nope. That's not my point here. My goal would be to make my partner happy, and for example a guy I have a crush on has a mother who can't afford her medical bill. I don't want to see her and then also him suffer. And sadly I'm not that wealthy either, so there's nothing I can really do. My PREFERENCE is that they have it good. But if they don't, it's not a con. I'm not looking to profit from them, so that doesn't matter to me. BUT. If I could just change reality of course I'd make him wealthy so he won't have any financial worries. No. Money doesn't matter at all. They just a little bit to come and go on. It's only important for my suppliers. I don't care for it. Money is everything in a relationship. I remember I once met a girl who was extremely "old fashioned". She had money, but she made me pay for everything she did. She also told me that her mother told her that men should pay 80% of everything that women do. I immediately dumped her after saying that. When we go out - Girl pays for her stuff and I pay for mine. When we live together - We will split bills down the middle. When it comes to groceries - You buy your own stuff and I will buy my own stuff. When it comes to car repairs - You pay for your own repairs and I pay for mine. However, I am willing to pay for the girl and me on special occasions. But I think that is how money should be handled. Each party is responsible for their own money and shouldn't rely on the other person to pay for everything. I always say they aren't important and in fact I don't mind giving all my savings away if someone needed them. But that being said I like to make sure I have savings, just in case, cause you never know what would happen. Unfortunately money are a key factor in today's world, especially when it's up to healthcare. Home > Dating > How important is money to you?